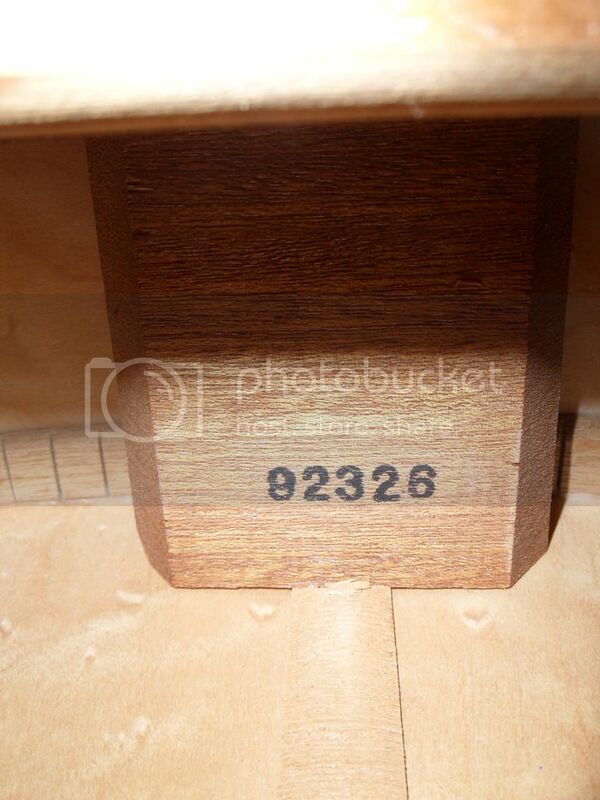 Serial #92326 on the headstock and 184 on the upper bracing. Is it from 1989 or 1992? Anybody here who knows where an when she was made? She has some marks all around, worst are on the top. Nothing structural though. Intonation is a bit off. 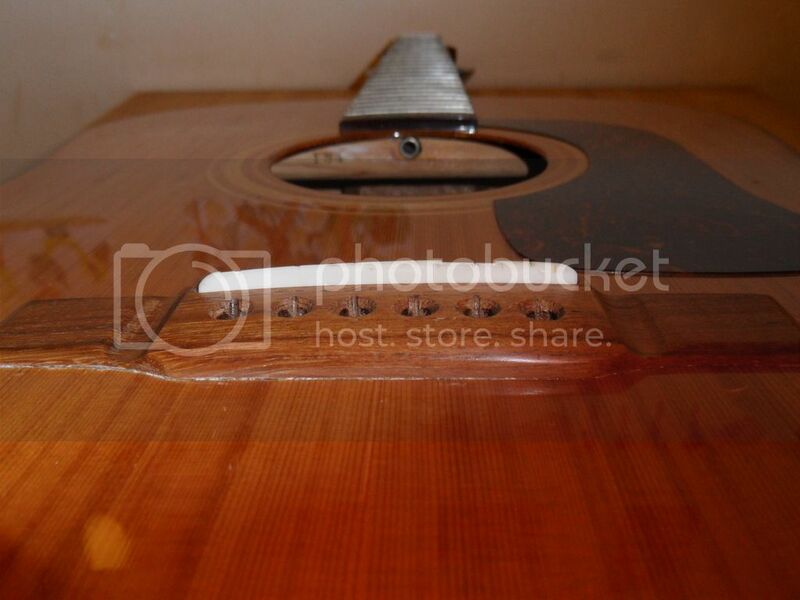 Nut and saddle (bone) will need some fixing by a luthier. The sound is mellow and dark, but with a lot of sparkle and attack. Any hints and comments welcome. Wow...simply wow...beautiful! 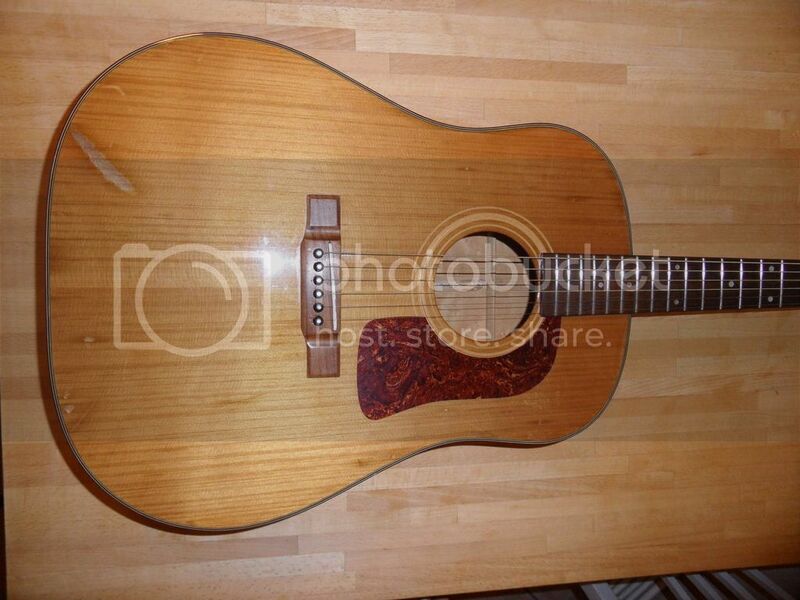 It has been a long time since I bought a guitar with a spruce top, I prefer cedar or redwood. Truly, the top on yours is one of the most beautiful I've ever seen!!! That explains the rosette matching the one on my D61SW,,,another Yamaki build. 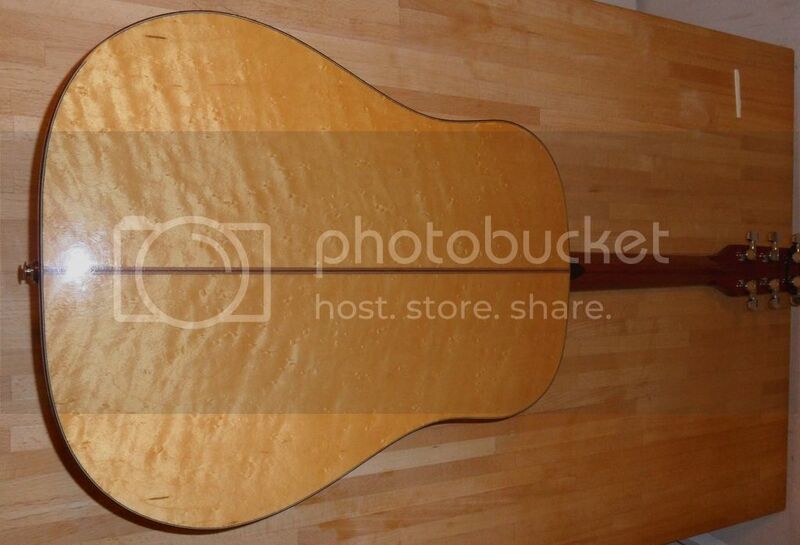 When you say "Jumbo", you mean a "Southern Jumbo"...a slope shouldered dread size guitar, right? Hearing that it's 9 years older (i thought 1988 or 92) and really a Yamaki, Japan built gave me a nice rush of exitement. Any ideas if this is ok? Talking about the shape of this guitar, I can only say i feel it's still a slope shoulder dread, but more sloped than my D-20-SN. Definitely Gibson style. 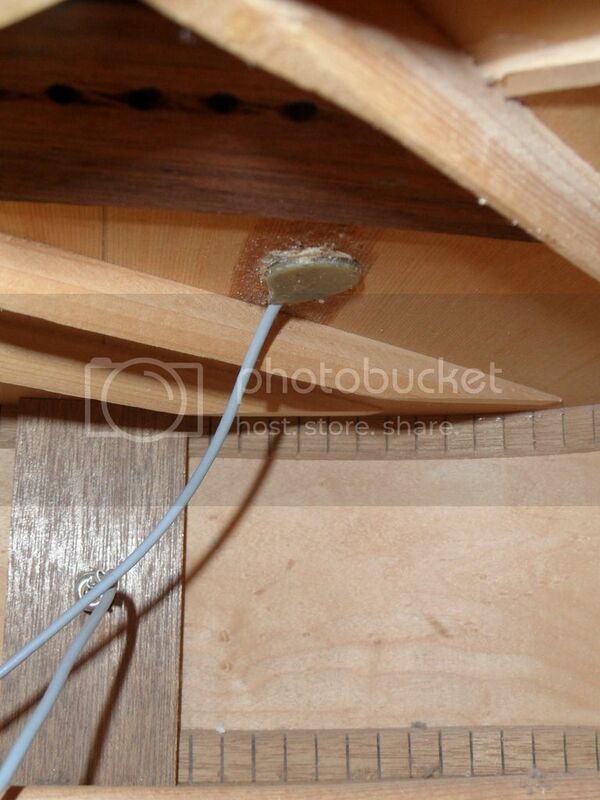 That little pyramid shaped section on the back of the head/neck junction is called a "volute". It is a very useful tool for positioning the hand correctly on the neck when playing at the first position...and also feeling when the hand is positioned correctly when returning there, too. Yamaki built Washburns are some of my faves! 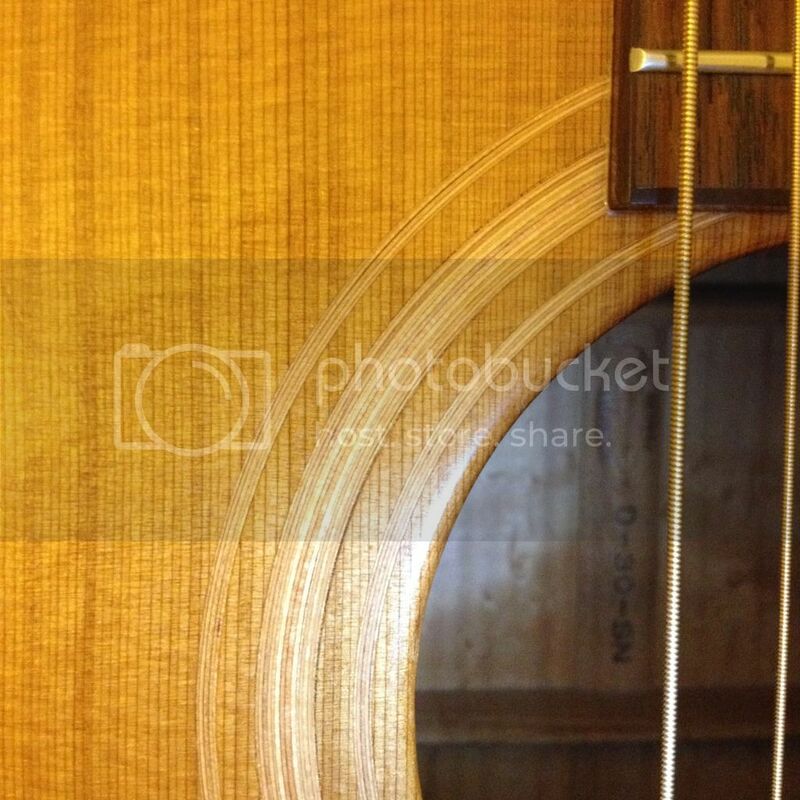 Is that an Epiphone "Dot" in the "Maple Family" photo in your album? I looked at one of their "Elitist" line Dots, but it was way over my budget considering how seldom I pick up an electric guitar. I tried to sell it and had lots of Looky-Lou's, but no takers. It has a very mellow sound, but I find that I prefer the gutsy, growling tone of my cheap solid-body Epiphone LP knock-off better. 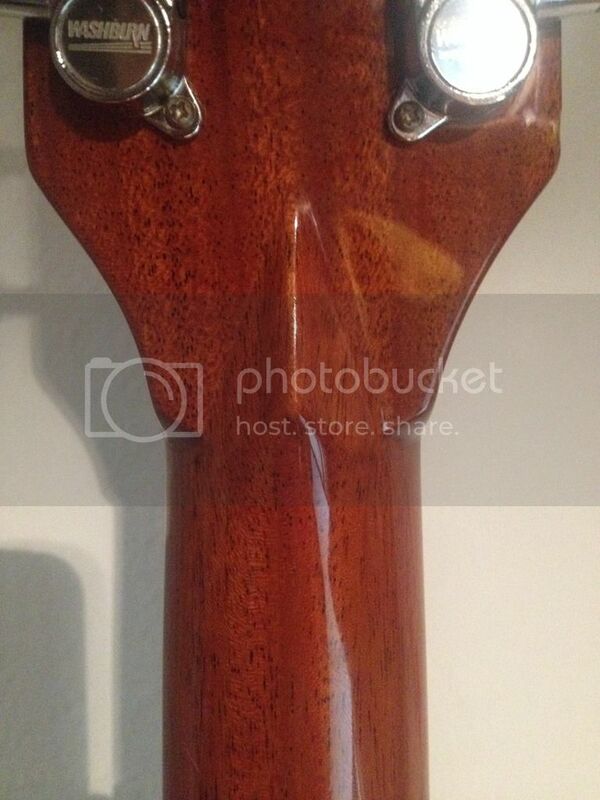 Here's 2 pictures that show the different neck/head transition. Both have a diamond volute. I saw the edgy version on some guitars that were identified as yamaki on this forum. Anybody knows the history on this? 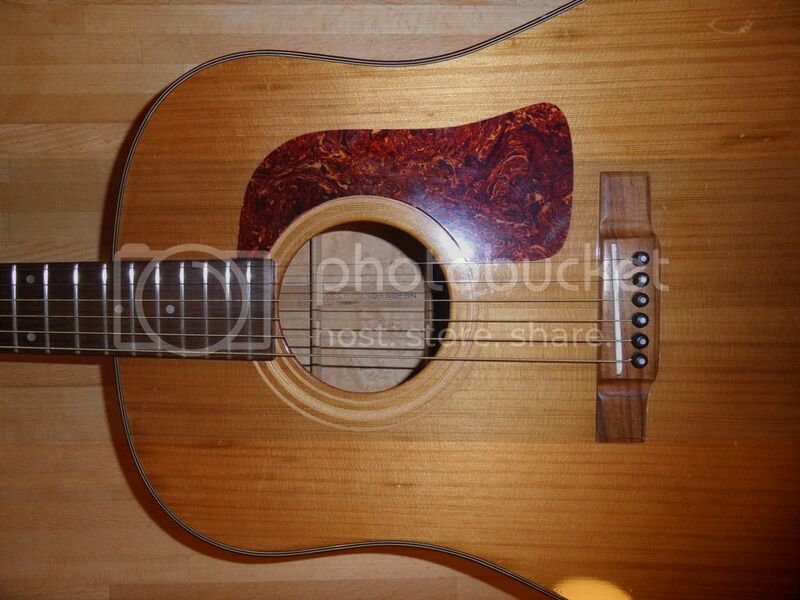 On the other hand, I was wondering if the D-30 can be from 1979 with those tuners. It's an Epiphone Sheraton II, from 1988 I think. I don't play it anymore, it's very heavy and I'm not interested in playing electric at the moment. 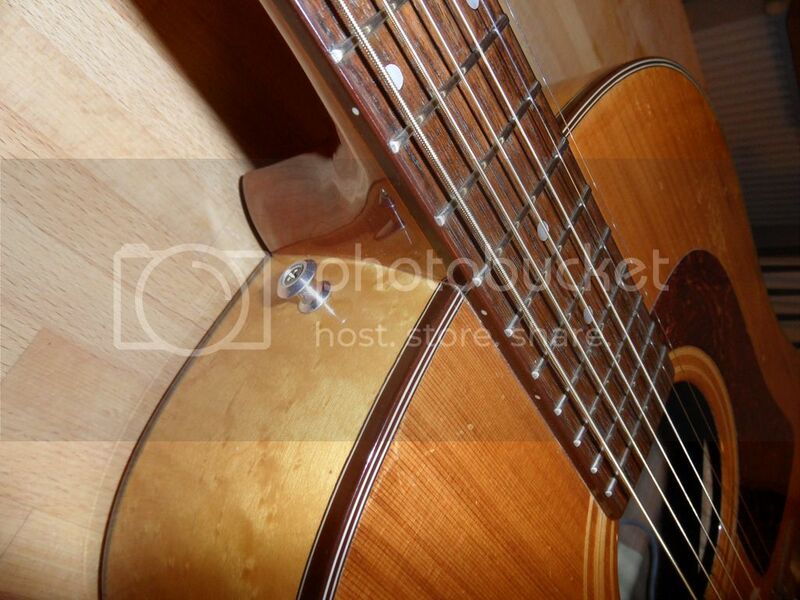 A nice guitar though, but it would need a good setup finally. I'm coming back to the production year. Somehow Iâ€™m not sure with 1979. I scrolled through a lot of photos. 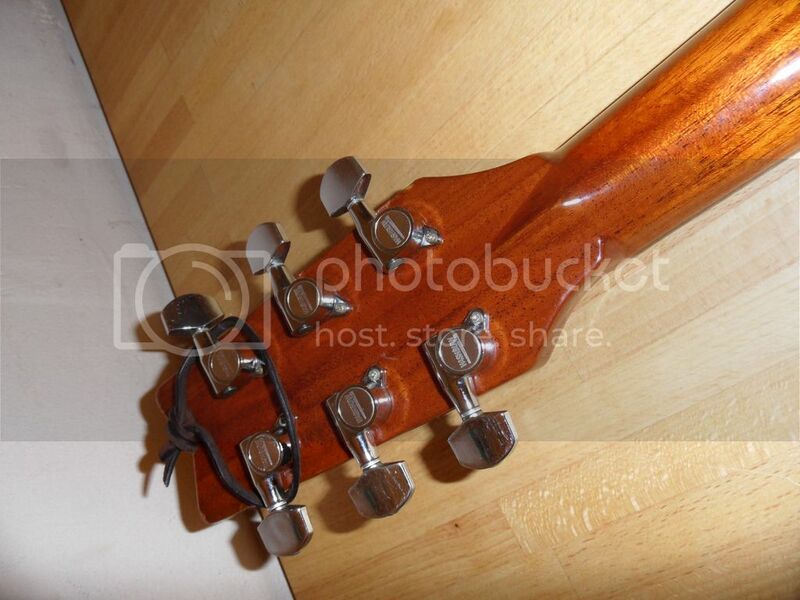 Look at those washburn branded chrome tuners, to me they are not late 70â€™s but I might be wrong also. 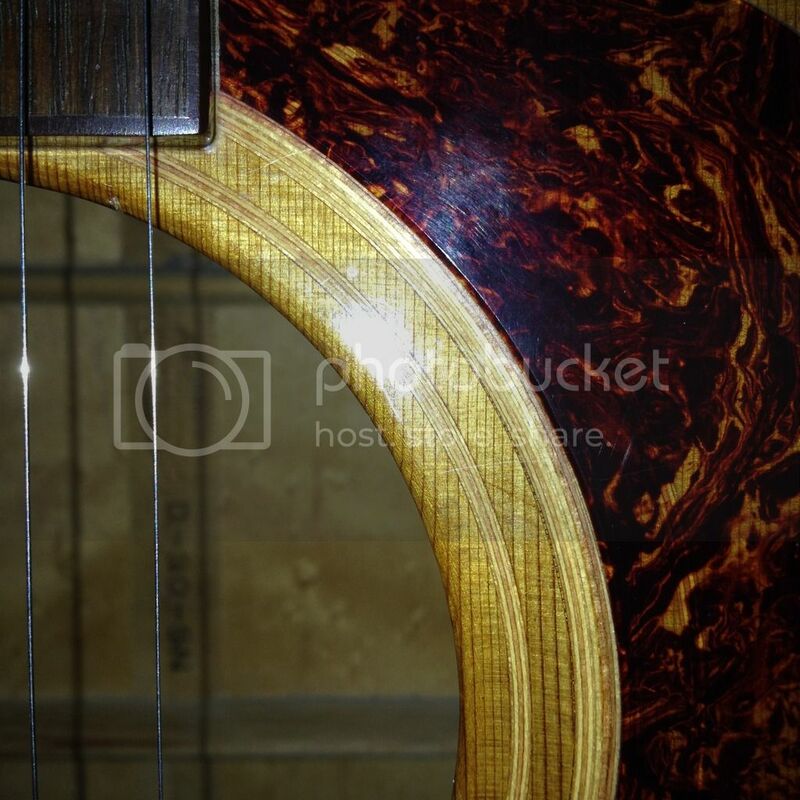 - Southern Jumbo style, solid cedar top, round soundhole, tortoise pickguard, bound body, three-stripe purfling, five-stripe rosette, birdÂ´s-eye maple back/sides, mahogany neck, 14/20-fret rosewood fingerboard with pearl dot inlay, rosewood bridge with pearl dot white pins and bone saddle, birdÂ´s-eye maple peghead veneer, three-per-side chrome diecast tuners, available in Natural finish, mfg. 1985-1994. I couldnâ€™t find any difference! Yours certainly does not have the square shoulders commonly associated with dreads...washburn's "Southern Jumbo" is a slope-shouldered dread. 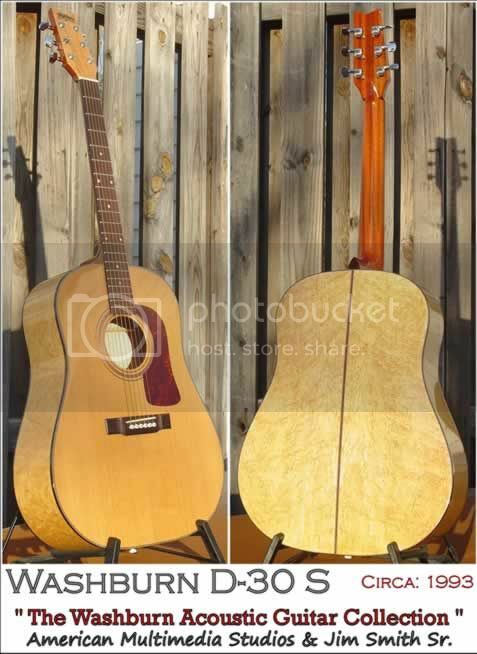 Yours certainly has the V-head as shown on the second version...not the Martin-style head shown on the first version. 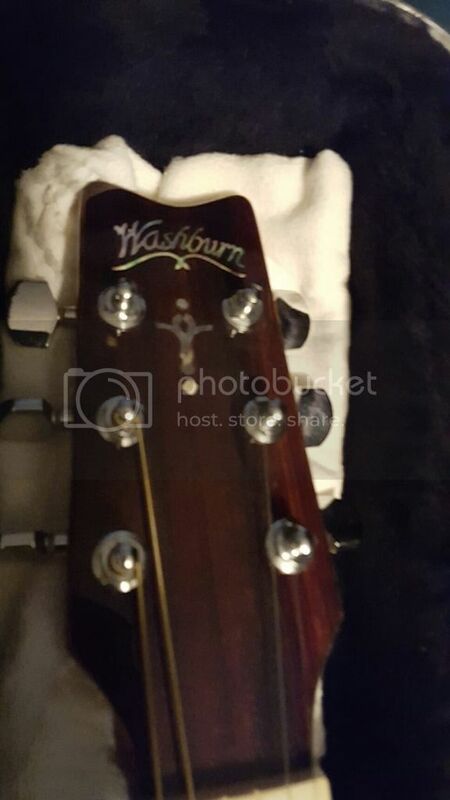 Ship is very knowledgable about the Washburn vintage items, so I hope he will correct me if I'm wrong, but I usually associate the Martin-style head with Beckman products. 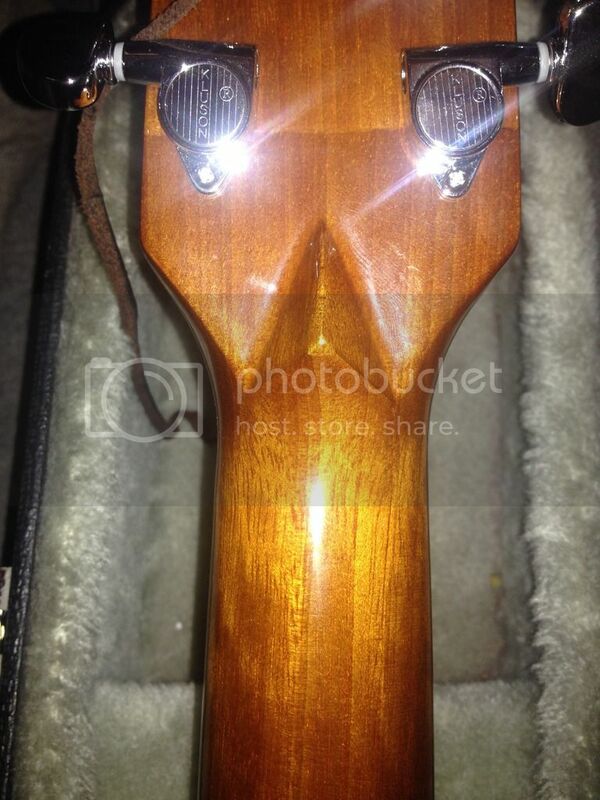 I would not put too much stock in the tuners...many musicians change out for upgrades on that item. 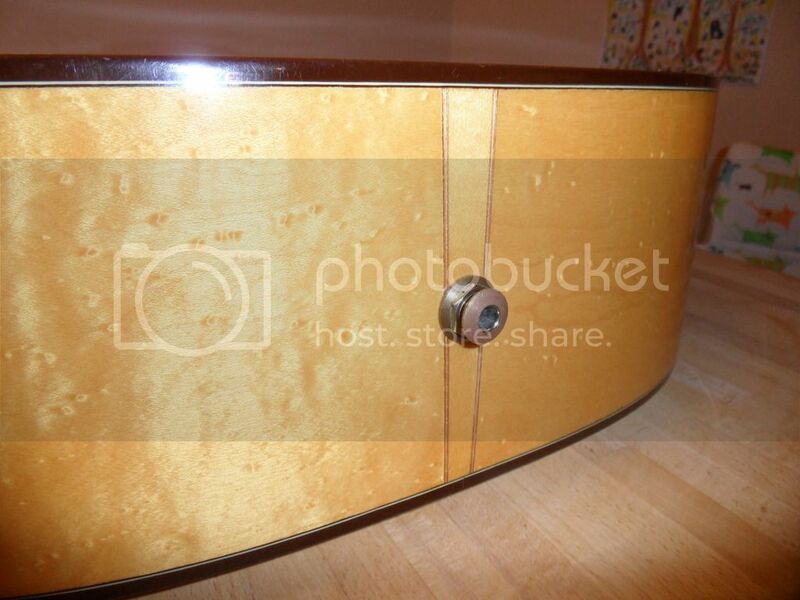 Whichever it is...it's definitely a keeper and compliments the others in your collection!! It is possible that I might have been wrong but you have to remember that the Yamaki builds only lasted for s it the old slot ao long before they moved from Japan and because of the obvious Yamaki features well it has to have been built and also the size. Be aware that processing has been applied to the recording.